So you want to travel the world, but don’t have much money to your name. No problem! Contrary to popular belief, travel does not have to be an expensive undertaking. It just so happens that some of the most exciting and beautiful places in the world are also the cheapest. So if you want to globe-trot like a pro without breaking the bank, head to one of these value destinations. Thailand has long been a must for any budget traveler. Although locals have long complained of increasing prices, the Land of Smiles is still a bargain for any Western traveler. From the world-famous nightlife of Bangkok to historic Chiang Mai, there’s never a lack of things to do here. What’s more, unlike other budget destinations, Thailand’s travel infrastructure is easy to use and its citizens are more than comfortable assisting foreign tourists. Still in South East Asia, Vietnam is a country that those who visit continually rave about--and pine to return to one day. And even the briefest glimpse of this country will show why. Get the decades of war out of your mind because Vietnam has progressed in leaps and bounds since those days. 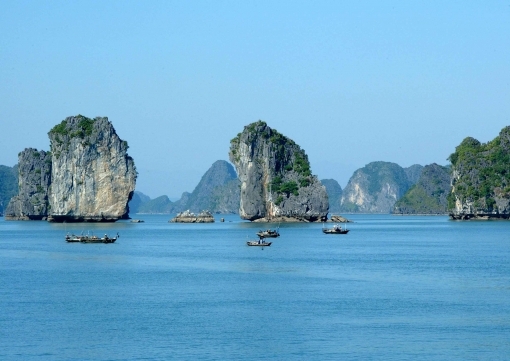 From the Mekong Delta in the south to the natural wonder that is Ha Long Bay in the north, this is a country that takes your breath away with every turn. Love it or hate it, no list of cheap destinations would be complete without a mention of India. Chaotic and dirty though it is, India is also sublimely beautiful. With over one billion people and thousands (yes, thousands!) of languages spoken, it’s impossible to sum up India in a few short sentences. The list of things to see is endless: the bustling cities of Mumbai and New Delhi, the soaring peaks of the Himalayas, the idyllic beaches of Goa, the awe-inspiring beauty of the Taj Mahal, or the 3000 year old streets of Varanasi--one could spend years exploring this country and still have more left to see. While often overlooked in favor of its richer neighbors, Argentina and Brazil, those in the know routinely talk of Bolivia as one of the best countries to visit in South America. While the tourist infrastructure may not be very well developed, in terms of natural and cultural offerings, Bolivia is hard to beat. From the surreal landscape of the world’s largest salt flats to swimming with river dolphins in the Amazon, Bolivia is guaranteed to be a life-changing experience. dventure, it’ll also help put money back into a struggling economy.